We are very experienced in identifying leaks and sealing them. 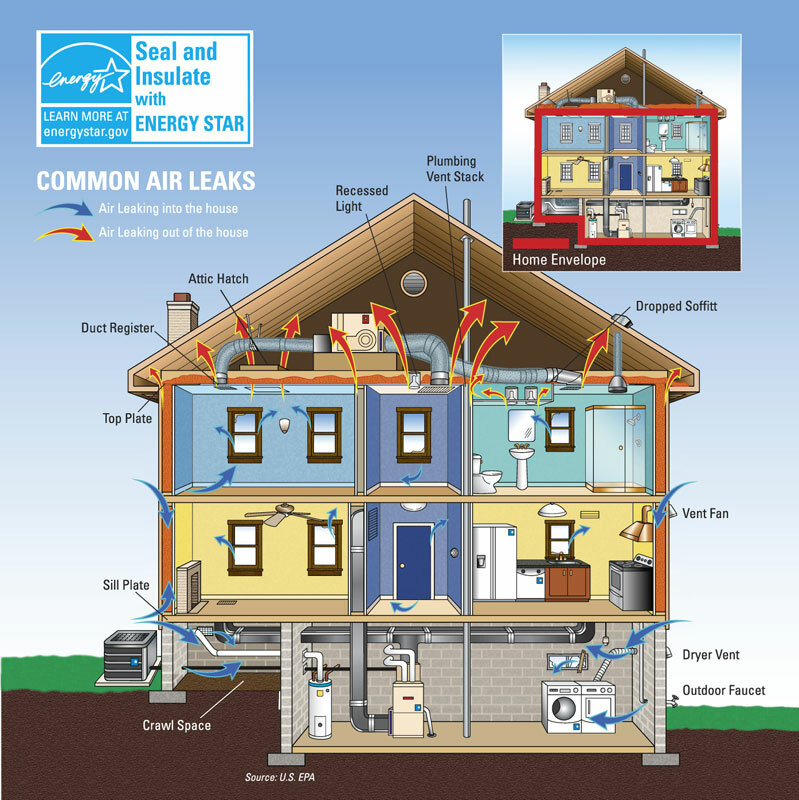 Air sealing services use targeted air sealing techniques to seal the home to scientifically safe and efficient levels. Many people think that the windows of their home are causing uncomfortable drafts or cold/hot rooms that can’t maintain temperature. Our BPI certified energy auditors use diagnostic equipment to find cracks and gaps around windows and doors, electrical outlets, recessed lights, and in the air duct system, the attic, and the basement/foundation. By sealing these gaps, using foam board, calk, and unique sealants, you can reduce drafts and cut down on significant air leakage without replacing windows or doors. For a thorough and accurate measurement of air leakage in your home, hire our qualified technician to conduct an energy assessment, particularly a blower door test. 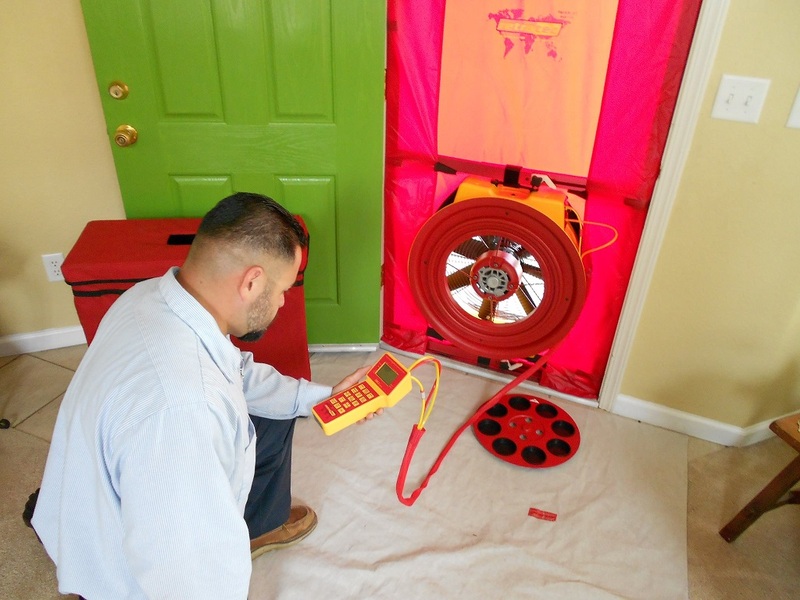 A blower door test, which depressurizes a home, can reveal the location of many leaks. A complete energy assessment will also help determine areas in your home that need more insulation. There are many different areas of your home where gaps can cause air leaks including the electrical outlets, door and window frames, electrical and gas service entrances, wall- or window-mounted air conditioners, vents, and many more. 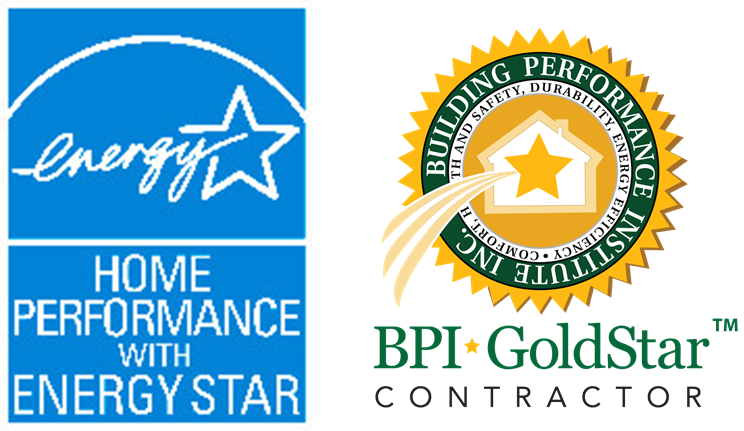 Our BPI-Certified auditor will inspect your entire home for weak areas.